In my last blogpost I explained how the future of “Azure: The world computer” looks like with Azure Stack. Azure Data Factory could be another Azure Service that plays a role in this hybrid / edge scenario. It is a cloud-based data integration service that allows you to create data-driven workflows in the cloud for orchestrating and automating data movement and data transformation. 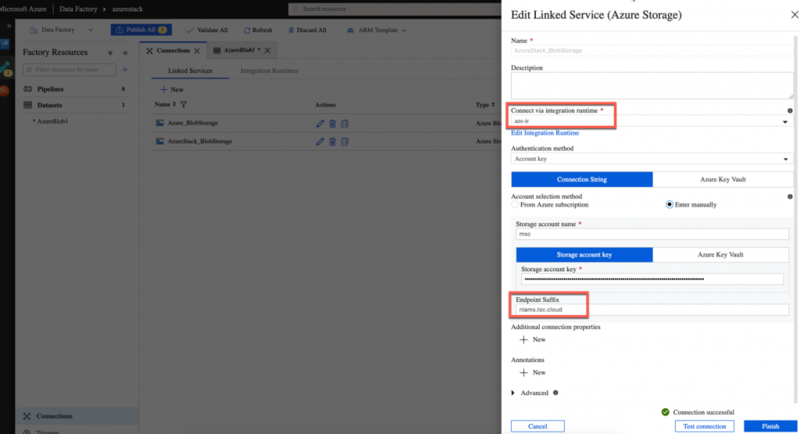 Using Azure Data Factory, you can create and schedule data-driven workflows (called pipelines) that can ingest data from disparate data stores. It can process and transform the data by using compute services such as Azure HDInsight Hadoop, Spark, Azure Data Lake Analytics, and Azure Machine Learning. 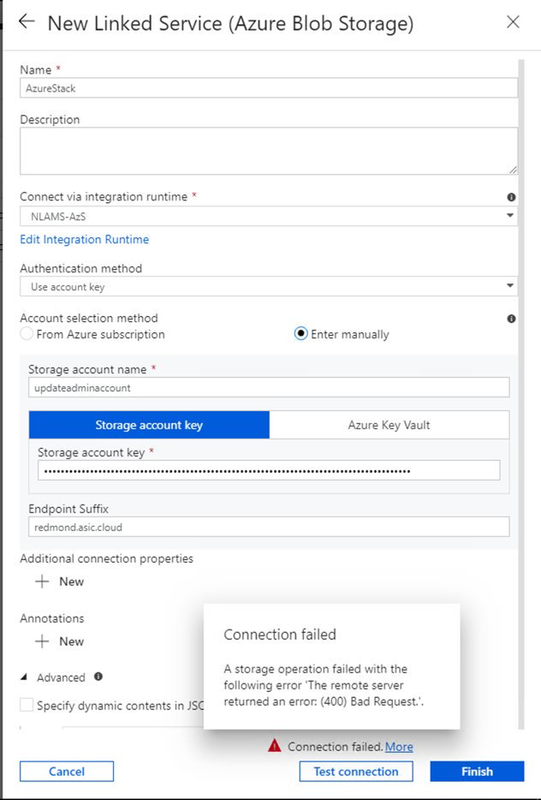 Create an Azure Blob storage connection to an existing pubic Azure Storage Account and then change the type using the code editor. 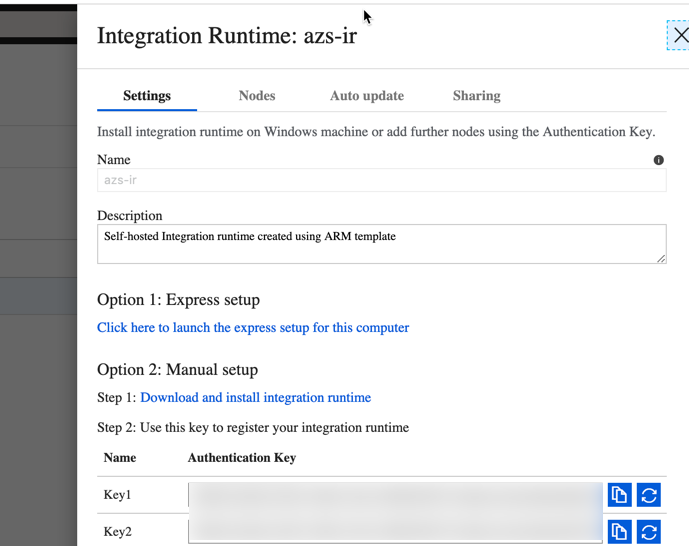 When you have deployed 1 or more virtual machines for using the IR you need to download the integration runtime from here. 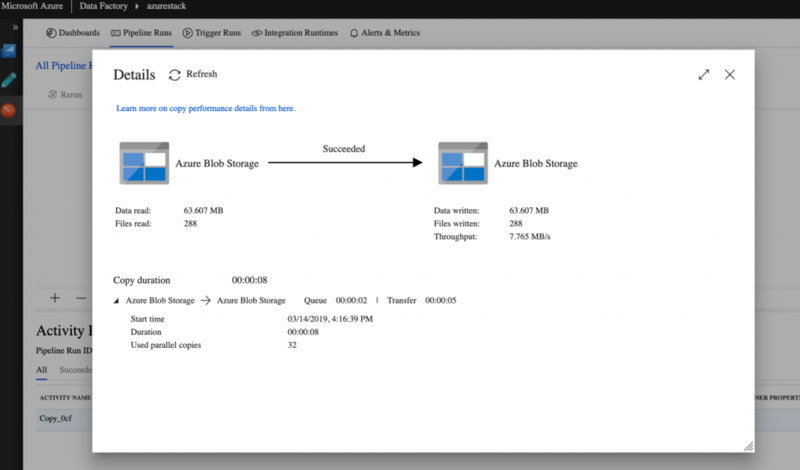 This is the version that will work with Azure Stack blob storage. Just run the installer and when asked you need to use 1 of the keys to register it. !! Important note!! Disable auto-update in the Auto Update tab! It is really important. The IR will cause compatibility issues with the Azure Stack storage if it is updated to the latest version. 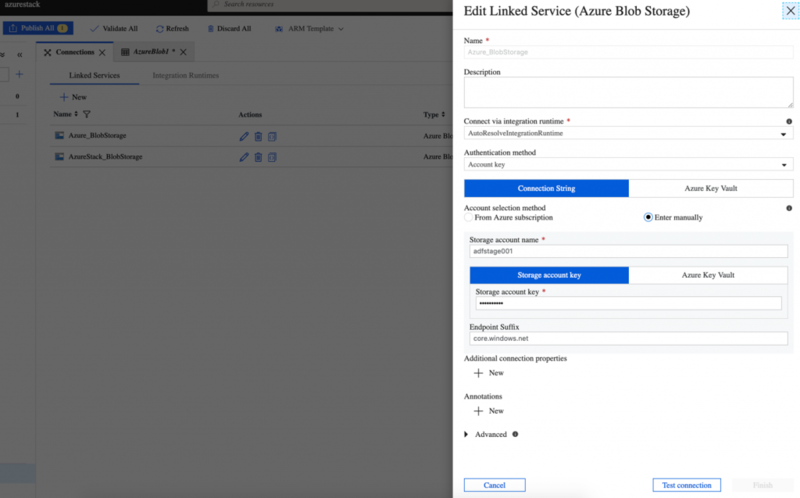 The trick is now to edit the linked service in code so that the Self Hosted Integrated Runtime can consume this using Azure Stack blob storage. Because we used a different version for the integrated runtime installation we need to edit the code on both linked services. 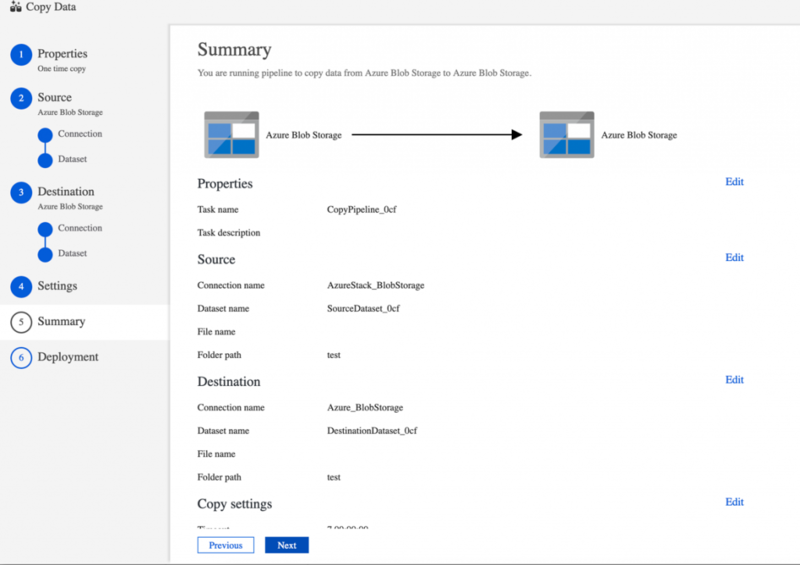 If both are edited and you create a new copy_data pipeline you can copy data from Azure Stack to Azure using Azure Data Factory! I would like to shout out and thank Abhishek Narain, PM on the Azure Data Factory team to help me sort this out! Happy data copying!